Whoah. 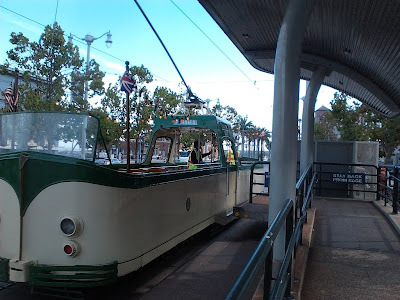 Never seen that F line 'boat'. Weird, I'd have said space liners were pretty common in SF. Maybe not stunningly memorable, but I'm sure I've read many books with passengers, cabins, dining halls and observation rooms, on a passenger vehicle. Clarke's _Imperial Earth_, certainly. "Titanic" on a Doctor Who Christmas special. Books of the New Sun. Liaden books. Babylon-5 has liners, though we don't see their insides; I think the Asimov was one. Well, there's Casual Interplanetary/Interstellar Travel, which implies that liners exist, though they are not necessarily shown in any detail - if nothing plot-important happens onboard the ship, you might as well show the characters boarding the spaceship, then cut to them walking out at their destination. 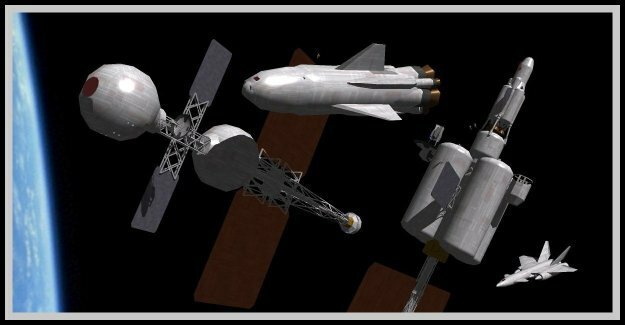 "for this discussion I have in mind 'real' space liners that operate entirely in space, especially those making long trips through deep space, interplanetary or interstellar." Interstellar pleasure yachting could be very interesting if you have a fancy hyperspace. If you just zoom through the blackness of real space, or wormhole from one star system to another instantly, it's rather less exciting. Heinlein used space liners all the time; A Tenderfoot on Venus, Podkayne of Mars...The list goes on and on. The spacecraft from Farmer in the Sky the most detailed example example of a space liner as can think of off the top of my head. Spaceliners are also an "offstage" feature of settings which focus on the escapades of hand-to-mouth space traders. The liners are what the mysterious passengers can't afford to ride on. I think what Rick is talking about is more along the line of an early Dutch East Indiaman. There is space for a few cabin passengers, who are mostly company officials, while the vast majority of passengers are down on the lower decks. you can find alot more images on google if you play around with other keywords. i found a number using "space liner"
'space cruise liner" got me a number of others. "space passenger ship" got others. all of the above tended to be dominated by pictures of ocean liners though. on the otherhand, "colony ship" gets you a ton of space oriented images, some whimsicle, others practical, and a number falling half way between. i think that as a fandom, we've taken it to heart that space travel is expensive enough that there isn't much point to a classical ocean liner or airline model for space tourism/ civil travel, so instead we choose to go for the really big (and thus visually impressive) idea of 'cities in space.' where long duration flights don't matter much because your bringing your entire society with you. "i think that as a fandom, we've taken it to heart that space travel is expensive enough that there isn't much point to a classical ocean liner or airline model for space tourism/ civil travel, so instead we choose to go for the really big (and thus visually impressive) idea of 'cities in space.' where long duration flights don't matter much because your bringing your entire society with you." With respect, You're talking about a fandom I've never seen. Space liners are all over science fiction, both hard and soft. But they tend ot be largely in the background, because the trope is well understood by the readership. If liners are needed, it's assumed they are available, that one can book passage when one needs to, and that accomodations will be resonable, if not luxurious. WRT large movable space habitats, one still has to move people, supplies, and trade goods around, without moving the habitat. While the movie "Silent Running" was based on a pretty implausible scenario, the idea that ships might carry large biospheres isn't too unreasonable (after all, the biosphere itself and all its living cargo would be the trade good). If something like this is the case, then passengers and crew (if any) would live and work inside the dome and teleoperate most ship systems as needed. Obviously there is an airlock somewhere in case the engineer really needs to go outside with a toolbox, but for most of the voyage, everyone will be content to stay buttoned up inside. As a bonus (or bug), the biosphere itself will be radiation hardened, with a "floor" of lunar slag and the "dome" being a clear water shield up to 5 metres thick (contained in multiple cells) to stop cosmic radiation and allow all the expensive plants and animals to get to the destination alive and unmutated. when i talk about "fandom", i mean the mass of fans who share a common interest in and enjoyment of the novels, movies, and shows. not the writers of said media. i mean those people who draw artwork inspired by their favorite media, who write fanfic, and discuss their favorites to death. while the writers may add space liners to their settings, the lack of fandom support implies something more than just an assumption they'll be around if needed. somebody would be drawing space liners, someone would be writing fan fiction about space liners... with the number of people interested in space travel media, you'd expect more than you can actually find. this implies a reason greater than just apathy about the presence of space liners. Please allow me to propose an alternate theory: combat titilates, but commerce is boring. Go to Google and look at the images results for "nautical art". You'll find endless repetitions of the same theme -- the sailing ship at sea, often in a storm. Google "ocean liner", and you'r treated to nostalgia pieces from the Transatlantic Era. Google "cruise ship" and you get mostly photographs of contemporary vessels. Now, google "aviation art". It's almost entirely warplanes, even the modern subjects. What paintings there are of commerical or general aviation depict scenes from the heroic age of the first airlines and bush pilots. Conflict sells art. Getting from here to there doesn't. It's the same with fanfic. Once you eliminate the 80% that's homosexual shipping of Kirk and Spock or Han and Luke, it's about some kind of conflict, either outright war or at least some kind of intrigue. If it happens on a space transport of some type, the transport is a setting, nothing more. How is that any different from any other type of fiction? Larry Niven often depicted space liners and yachts in his writing. As Ray McVay mentioned earlier, Heinlein's "Farmer In The Sky" might be the closest we've come yet to an SF version of a classic "liner" story. The reason more liner-type vehicles don't appear on televised SF could be because warships are much more dramatic. Even in the kinder and gentler Star Trek universe, the commercial freighters are, more often than not, armed. The genre is still waiting for a space-going version of Porter's "Ship Of Fools". "Larry Niven often depicted space liners and yachts in his writing." They are there, however, as background, because the author needs a setting in which to set up a planetary romance before actually reaching the planet, as in "Grendel". In fact, in many of the Beowulf Schaeffer stories, the fact that Schaeffer at one time piloted interstellar passenger ships is used simply as a justification for him being able to take on a job that requires pilot skills. The liners are never seen or described in any detail. "As Ray McVay mentioned earlier, Heinlein's Farmer In The Sky might be the closest we've come yet to an SF version of a classic 'liner' story." Considering that the Mayflower was a crowded colony ship, that's not saying much. A more commercial passenger vessel is used in Podkayne of Mars, complete with a solar storm shelter that actually gets put to use during the trip. A large part of Starman Jones takes place aboard a space liner, but the action isn't about the liner per se, but what happens when it gets lost among the stars. Likewise, in The Rolling Stones, a space liner enters the story as a plague ship. IOW, Heinlein used space liners as settings for disaster and near disaster. He didn't have much use for them as protagonistic vessels. He saved that for military ships like the Roger Young and Mannerheim in Starship Troopers and, arguably, the Free Trader Sisu in Citizen of the Galaxy. All of these ships fought and won battles, rather than being just a venue for plot complications. "The genre is still waiting for a space-going version of Porter's 'Ship Of Fools'." Gods preserve us from such a fate. The last thing we need is more misanthropic social commentary tarted up as "literature". "IOW, Heinlein used space liners as settings for disaster and near disaster. He didn't have much use for them as protagonistic vessels. He saved that for military ships like the Roger Young and Mannerheim in Starship Troopers and, arguably, the Free Trader Sisu in Citizen of the Galaxy. All of these ships fought and won battles, rather than being just a venue for plot complications." One could argue that the Lewis & Clark in "Time for the Stars" is also an example of a space (star) liner. Of course, it was being used as an exploration ship in that novel. The design was virtually identical to every other torch ship used in Heinlein's novels. I also recall from Heinlein's Tramp Royale that he traveled on cargo liners during his first trip around the world. The cargo liner was mentioned as have a proud war record before being returned to civilian merchant service. I could see a similar fate for interplanetary exploration or colony ships; becoming cruise liners in their old age. A PMF space liner: a spin hab flanked by a drive module and a cargo/passenger lander. The lander makes a round trip at the destination, bringing passengers and cargo to the outpost/colony and returning passengers and whatever-the-base-sends-home before leaving orbit and returning to Earth. The spin hab has the passenger quarters, the life support, and the control facility; the drive module has power and propulsion; as one conponent becomes aged or obsolete, they can be changed out fairly easily at 'home base'. How would different space lines compete against each other? probably not by their accomidations or how rapidly they can get to their destinations; perhaps by their distractions, their range and quality of classes, or even the quality of their 'gardens'; staff quality is always a selling point. Besides the price of passenger tickets (a tiny percent of the profits), I'd expect contracts from government agencies and private institutions to provide most of the income. I've thought about it for a bit and I keep imagining hordes of boisterous annoying kids running down the halls on regular water-borne liners, and I have a problem imagining that on a space ship. Beyond the inherent risks of kids running out of control in an environment where, if the ship is in trouble, you are dead with no recourse (to kill another trope, there will be no lifeboats on a spaceship) we're also talking about radiation exposure, no matter how well-shielded the ship is, and it's hard to see anyone exposing their rugrats to radiation poisoning. Unless Unobtainium-powered anti-radiation shielding pop up anytime in our near-future, I find it hard to imaging any sort of pleasure craft that lists leukemia as a possible side-effect. On space liners as a trope: I maybe should have said 'enough of a trope to generate a distinct corpus of fan art.' Certainly there are space liners in SF; some examples have been given in comments. As a couple of commenters noted, this probably has to do with their non-prominence in space battles - compare to the way space battlecruiser images outnumber those of real seagoing battlecruisers. I would distinguish a space liner from a 'colony ship,' with the latter - unless it is a generation ship - probably having much in common with the 'utilitarian transports' I described. Mayflower in Heinlein's Farmer in the Sky is a colony ship of this type. The colonists do the cooking and housekeeping work, though not (presumably, and so far as I recall) the technical maintenance of the ship itself. In Starman Jones, my favorite Heinlein YA, Asgard is explicitly described as a liner-freighter, and contrasted to the 'cheerless transports' that carry convicts to prison colonies. Asgard seems to carry only First Class passengers (dozens, not hundreds) - no ordinary colonists, let alone prison transportees. Much of the story happens aboard the ship, but Max Jones is a crewmember, and not assigned to passenger-steward duties even during his time as a steward's mate. Lewis and Clark in Time for the Stars was IIRC converted from a freighter, not a liner. A bit of an odd choice - even if that setting had no space liners as such, you'd imagine it had 'utilitarian transports' already provided with life support and such, and more suited to conversion than an ore freighter. Heinlein liners, freighters, and colony ships would all be pretty much outwardly indistinguishable. 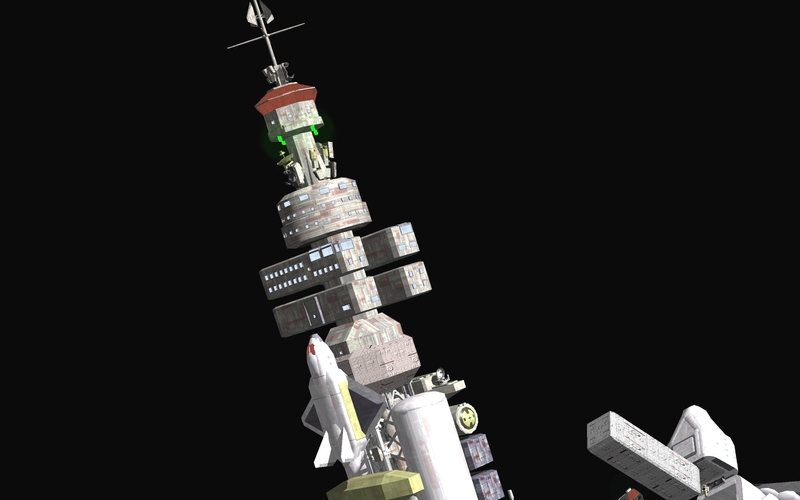 Note that in this blog's header image, one ship's forward pod is inspired by Heinlein ships, though the separate spherical propellant pod shows Clarke influence. "Beyond the inherent risks of kids running out of control in an environment where, if the ship is in trouble, you are dead with no recourse"
I am pretty sure that passenger areas are going to be separated from sensitive equipment, and that the hull will be thick enough to be resistant to a seven-year-old's punches. Airplanes are pretty fragile too - break the engines or wings and they fall out of the sky, and hull damage will lead to hazardous depressurization just as on a spaceship. Airplanes are a little safer than spaceships in that they can salvage a bad situation with an emergency landing, but that's still something you want to avoid. But you can still have children onboard an airplane. Just lock the cockpit. "(to kill another trope, there will be no lifeboats on a spaceship)"
But on the other hand, you can't sink. As long as basic life support remains intact, you can hold out for weeks or months - though whether this does you any good depends on if anyone is able to rescue you. (Rescuing a ship that's going above solar escape velocity when its engines cut out is not going to be easy.) If life support breaks down, you will ideally retreat into a storm shelter with a redundant life support system, while a spacesuited technician goes out and attempts to fix the problem. "As a couple of commenters noted, this probably has to do with their non-prominence in space battles"
Before you get cynical about the bloodthirst this implies, let me point out something else. Battleships (sea or space) are distinct from passenger liners in that they can, as ships, interact with their surroundings (granted, mostly by shooting those surroundings up). Passenger ships don't do much space-y - any action would involve a human drama between the people on the ship, Recycled in SPACE!. Meanwhile, a ship-mounted cannon is used, tactically speaking, in a rather different way from a land-based cannon, even though both existed in the same time period. And a spaceship-mounted laser or missile launcher (let's not argue about which) is going to work very differently from an analogous weapon in an atmosphere. This also means that while warships are cool to watch from the outside, if anyone bothers to draw a liner it would more likely show the ship's interior. Nothing interesting happens on the outside of a passenger ship (usually). "I would distinguish a space liner from a 'colony ship',"
I imagine there being two important differences. First, a colony ship will often be designed as a single-shot expedition, rather than running repeat voyages. Second, a colony ship needs to carry not only the colonists but also everything they need to set up the colony. It is, however, conceivable for the basics of the colony to first be set up with robots, and for colonists to then head over with a fairly normal passenger liner once they have somewhere to go to. "The colonists do the cooking and housekeeping work, though not (presumably, and so far as I recall) the technical maintenance of the ship itself." I can't say about that specific colony ship, but in general, there's no reason for the colonists to not also do the technical maintainance. You're going to need technically-minded people to set up your colony (especially if you don't have the convenience of a shirtsleeves planet, but even then), so there are likely to be colonists who are qualified. Note generation ships are common in written SF but almost always as a scene for things going horribly wrong. Usually having forgotten the mission and descended into savagery. Occasionally going "wait, we're doing perfectly fine in here, who needs planets?" Buh? Radiation shielding is basically a matter of how much mass is between you and the radiation shield. You can field away charged particles, and neutrons and gamma rays have different ideal elements to shield with, but basically it's mass. Throw enough slag and ice on and you'll get less radiation than on Earth. Earth's atmosphere is 10 tons per square meter at sea level, half that at Denver. 5-10 meters of ice, 2-3 meters of rock. Whether you can afford to move the mass of that shielding is another matter. Note this gives another economy of scale. Volume of passengers goes up cubic, shielding mass needed is only quadratic. Of course, heat dissipation ability is also only quadratic. Another thing we have to remember is that a liner of any type is a consequences of scheduled -- and profitable -- service. Before scheduled transatlantic travel, passengers were extra revenue on cargo ships. Where passengers were the primary cargo, they were usually immigrants, voluntary or enslaved. So I don't think we should expect the space liner to happen any time before profitable scheduled service can be established between two destinations. That's another thing that may not happen until long after the PMF. "You can field away charged particles, and neutrons and gamma rays have different ideal elements to shield with, but basically it's mass." Note that the majority of radiation in space (both solar wind and galactic cosmic rays) will be protons. So that's what you will want to optimize your shielding for. "Another thing we have to remember is that a liner of any type is a consequences of scheduled -- and profitable -- service." "Before scheduled transatlantic travel, passengers were extra revenue on cargo ships." Yes, but that doesn't mean the same will apply in space. In an atmosphere, putting some passenger space in a cargo ship is easy - just toss something vaguely resembling a bed into the cargo hold, stock up on some food that maybe won't spoil, and you're done. In space, you need a lot more high-tech life support that a cargo ship doesn't need to worry about. So I think the first people-carrying spaceships will still be custom designed for that purpose, although they will not be chartered liners, but rather research ships funded by a government (or perhaps a corporation looking to make a profit in space mining) and carrying that organization's employees. Liners appear later on, when it becomes viable for ordinary people to pay for their own passage. "So I don't think we should expect the space liner to happen any time before profitable scheduled service can be established between two destinations." Which means you need to have a colony (i.e., somewhere that civilians live a reasonably normal life, not just research outposts), or a tourist resort (which is pretty expensive - before colonies appear, I doubt you'll see any resorts beyond Earth-orbital stations or Luna). So on another note, what does everyone think of this? Does it look like a viable launch system? Milo; If they can demonstrate that it can be fesible to launch something from the "Dark Sky" aerostats, then great from them...however, I'm a bit skeptical about the $1 a pound per launch, or even $100 a pound per launch for quite some time. At the pace they're going at, it may well be the 22nd century before they get the "Dark Sky" concept to the point where we know whether it works or not, sorry to say. No, the Airship to Orbit concept is utterly ludicrous and nobody takes them seriously. They're claiming to fly an airship to orbit using ion engines, magical ones of course. Everything about it is just bewilderingly impossible. To add to that, the company does seem to have some sort of legit business in the airship industry. Possibly the launch vehicle thing is a PR effort to get their name out there. I suppose they've wanted to catch some gullible investors too, considering their "It's being built right now! Serious! Prototypes will be flying in a few months and it will revolutionize space travel!" rhetoric. They do want you to buy their book too! From the Space Odyssey series, 2061: Odyssey 3 had a quite nifty fleet of space liners playing central roles in the plot. They were the true luxury transport types, with fun features like reaction mass tanks (containing water) being furnished with a little artificial beach inside so that people could use them as swimming pools. Given the need to have some sort of revenue stream, the long flight times to planets outside the Earth-Mars run would seem to argue against regular scheduled runs by liners. In fact, there might not be any sort of justification for "liners" at al. A consortium might collect tickets on a standby or contingency basis and assemble a ship from modular parts for a one way trip to a planet or colony if enough people buy in before the launch window closes. This argues a bit for people being "supercargo" rather than the primary source of income (there would not be enough modular parts to build spaceships at the drop of a hat), so there would be some sort of reason to send shipping outbound from Earth. Also it encapsulates my problem with the Next Big Future gang that they didn't ask that question. From another perspective, space zeppelins are a marriage made in heaven, aren't they? Talk about the Rule of Cool! 1) Passenger transports (whether or not they are 'liners') will probably carry some priority/perishable cargo. 2) Large stations may be assembled on Earth orbit, and sent to their eventual duty locations on slow orbits, but with a crew already on board. Regular 'fast' transports may rotate crew to and from these stations en route. The key is that these jumbo craft are 'stations' rather than 'ships' in the operational sense, even when still en route to their duty locations. I also think it is nearly certain that bureaucratic 'transports' will exist well before commercial 'liners' - even if the bureaucracies involved are corporations. Having said that, the transports might be called liners, even if all passengers are assigned rather than paying. Or, even what we would regard as true luxury liners may never be called that. After all, by the time such ships exist, ocean liners in the classic sense will likely be as far in the past as Indiamen are for us, an archaic and fading image rather than an evocative one. Spaceliners, like ocean liners, tend to be settings and not characters. Warships of any type tend to become characters in stories about them. "Spaceliners, like ocean liners, tend to be settings and not characters. Warships of any type tend to become characters in stories about them." Precisely. Though I would say that the Titanic has taken on the qualities of a character over the years. Battleships (sea or space) are distinct from passenger liners in that they can, as ships, interact with their surroundings (granted, mostly by shooting those surroundings up). The Titanic 'interacted' with its environment - or the environment interacted with the Titanic - in a singularly vivid way. That said, it is also true that the Titanic becomes a symbolic character, embodiment of Belle Epoque hubris. Speaking of which, expect some major Titanic-mania next year! "Speaking of which, expect some major Titanic-mania next year!" Well, or reverse birthday, or something. Some ships do become "characters", like the Starship Enterprise or the Serenity, of Firefly, but I think this is more a reflection of the setting and story the writers want to tell. Milo's point about "interaction" however is mostly a question of being "prime movers". Stories are usually centered around someone who can make decisions that affect the environment, are instruments of change. Liners are by-and-by passive (or so you hope when you are traveling aboard one--you don't really want an interesting cruise, not in the Chinese definition of "interesting"). Hitting an iceberg is passive. Titanic did not make a conscious decision to hit the iceberg. The hero character, or the "hero ship", is one that can make decisions, and battleships (or exploration ships) that are active and decisive in their "interactions". Titanic, as interesting as her story may be, is a victim, and victims do not a hero make. It is in fact hard to imagine a story where the liner (sea or spaceborne) is not a victim, as opposed to a hero. Of course the case may be argued that a character (in this case our anthropomorphized "hero ships") can rise to the occasion and go from being a victim to a hero, if the ship holds together long enough to bring her passengers to safety for example, but because such a scenario is so specific as opposed to the broader scope of possibilities offered to a warship or survey ship to be a hero, the number of stories that can be told is limited, and so the number of them that stand out to be remembered will be evidently even more so. And by the way,the battleship can alter events without blowing things up. The very presence of an armed ship might be enough to radically alter events, witness Commodore Perry opening up Japan without firing a single shot in anger. Whether in fiction or in fact, warships are natural "prime movers", and will get more attention, and have more "interesting" stories. I dont't think we can really think of Titanic as a hapless victim. I think it would be more accurate to think of her as a tragic hero -- normally excellent, but doomed by circumstances. Massive hubris and fatally flawed. Very Greek tragedy indeed. I think non-warships in the age of sail had a much better chance to be 'hero' figures, because voyages were more precarious, and sailing vessels generally interact with the environment more deeply than steamships do. After all, they depend on the environment for propulsion, and in an inherently unpredictable way that solar electric propulsion or even solar sailing wouldn't really match. "After all, they depend on the environment for propulsion, and in an inherently unpredictable way that solar electric propulsion or even solar sailing wouldn't really match." Spacecraft that are propelled by 'magnetic sails' interacting with the solar wind would have some advantages, but would rely on something more variable than sunlight. Perhaps there is room for story material there, with storms & lulls in the solar wind affecting when the spacecraft reaches 'port'. While on that tack, I would also point out that if you go far enough back, warships lose their interactivity status - back when boarding actions were the main weapon in the navy's arsenal, combat was mainly soldier-to-soldier rather than ship-to-ship, and not really more exciting than similar action on land. The ships themselves were also rarely sunk in these actions, reinforcing their status as settings rather than characters. Of course, soldier-to-soldier battles are still interesting enough to write about that these ships would have seen some use as settings. Not sure if I'm with you on this one; the "black ships" of the Iliad are a very important part of the story (even if they are really troop carriers and landing craft in modern terminology), and that is going right to the beginning of Western literature. We also know Mycenaean ships were decorated and named (think of the "Argo"), and should infer that something similar was probably true of the other civilizations who had ships during the Bronze Age. That last comment got me thinking and realizing that there hasn't been any form of vehicle we haven't managed to strap some kind of a weapon to. Plunk a ballista down on the deck of some kind of cargo vessel and she becomes a ship of war. Add a ram to go plow into other cargo vessels armed with ballistas and you have a ship that is no longer a cargo ship but a dedicated warship. Make them longer to add rowers to increase your speed, add ever more rowers by making them taller, add more rows, go from bireme to trireme to quinquireme and you have a nice little arms race going. As for the Space Shuttle, does it really matter that we never put a gun on it if one third of its total missions were tagged "D.O.D" and nothing more? If Sun Tzu was right, information-gathering is as much (more?) of a weapon than the blade, so are those Keyhole-11s the equivalent to strapping a weapons system to it? In even a plausible near future, I cannot imagine that something that packs a gigawatt drive will not be used as a weapon, even without strapping a gun to it (cf: Kzinti Lesson) Rick may deplore our bloodthirstiness, but on my part I have trouble forseeing a future in which we do not find a way to export our main product since the dawn of history, War, out into space. I would argue instead that War was the very purpose we got there in the FIRST place, starting with Pennemunde's rockets (a.k.a V2) which formed the basis for the US experiments which had a direct impact on the weapons technology designed to lob nuclear weapons on the other side of the globe. Apollo, the Space Shuttle and even the ISS are a mere by-product of weapon design. ...unless SpaceShipTwo, VSS Enterprise is already a Space Liner. "Rick may deplore our bloodthirstiness, but on my part I have trouble forseeing a future in which we do not find a way to export our main product since the dawn of history, War, out into space." We will have a war in space sooner or later. I have little doubt about this, and that lingering doubt is mostly over the question of whether we'll get into space at all. This does not mean that we'll be spending the majority of our time on the majority of our colonies fighting, nor necessarily that the war will be the most interesting thing that will be happening. It certainly won't be the only interesting thing that is happening. But still, it's what many people want to talk about, anyway. "...unless SpaceShipTwo, VSS Enterprise is already a Space Liner." It's suborbital, and won't spend more than a few minutes in space. That's cheating. That's an interesting question...the definition of a pleasure cruise, as apposed to the monstrous 5-day vacations we have today to Mexican resorts, seems to fit the Enterprise. By the same token, will a trip on an Orion lite to one of Bigelow's inflatable stations count as a cruise to a resort destination? Ray McVay said:"That's an interesting question...the definition of a pleasure cruise, as apposed to the monstrous 5-day vacations we have today to Mexican resorts, seems to fit the Enterprise. By the same token, will a trip on an Orion lite to one of Bigelow's inflatable stations count as a cruise to a resort destination?" On warships and sea war in the age of boarding, I think that the 'land battle fought at sea' trope is seriously mistaken. The better ship, better handled, controlled the engagement up to the moment of (firm) contact. And even when it came to hand-strokes, a boarding fight was dominated by the unique 'terrain' of floating platforms. Much of the training that makes for a good army, such as ability to change formation facing, is irrelevant or entirely different at sea. One example of how the trope is misleading is the medieval tactic of lashing ships together to form a single fighting platform. It seems 'unseamanlike' and damned un-English ... until you think about actually DOING it on open water, in the presence of the enemy. Left out Jean-Remy's point - which would have been very appropriate to Veterans' Day / Remembrance Day. But that would be a whole post! I associate "land battle fought at sea" with how the Romans dealt with the Carthaginians. They didn't try to master tactics like ramming and oar sweeping, they focused on grapple and boarding. Naval equivalent of "you may be good with that rapier but now I've got you in a clinch". As I'm sure Rick and many other know, dedicated warships are a symptom of significant overseas trade. They don't exist for their own reasons. So we might be able to say that warships are not capable of becoming characters without an infrastructure of commercial ships, maybe even some liners. "As I'm sure Rick and many other know, dedicated warships are a symptom of significant overseas trade. They don't exist for their own reasons. So we might be able to say that warships are not capable of becoming characters without an infrastructure of commercial ships, maybe even some liners." Would a pair of asteroid cyclers between Earth and Mars count as enough infrastructure in the 'significant overseas trade' catagory? "Would a pair of asteroid cyclers between Earth and Mars count as enough infrastructure in the 'significant overseas trade' catagory?" Who would you need to protect them against? What possible strategic advantage could their capture or elimination realize? Nobody and none, AFAICT. Space war outside of Earth's orbit, aimed at Earth-facing resources, will have to wait for extensive international expansion into the interplanetary environment, to the point that serious commercial concerns and positions are affected. "Who would you need to protect them against? What possible strategic advantage could their capture or elimination realize? Nobody and none, AFAICT." "What about resource denial? Even a small asteroid could hold enough conflict metals that it's capture at the beginning of it's cycle could mean billions of high-grade available to the invader's war machine when the asteroid swings back 30 months later..."
I misunderstood what you were talking about. I thought you were talking abot a simple clycling habitat. Look...if you could put even a 100 meter rock into a cycler orbit, then provide enough thrust from time to time to keep it there, you'd have so much energy readily available that you wouldn't need cyclers in the first place. Your assumptions have to be consistent, see. If you're using cyclers, you don't have a lot of energy. If you're putting rocks in desired orbits, you've got at least semi-operatic levels of controllable energy, and probably operatic energy. IOW, you can have torchships or nuclear electric/thermal, but not both. "Look...if you could put even a 100 meter rock into a cycler orbit, then provide enough thrust from time to time to keep it there, you'd have so much energy readily available that you wouldn't need cyclers in the first place." I see your point. I thought that the use of Mass Drivers to alter the orbits of the Asteroids would be less energy intensive, especially if the move is done over the long term. I read of a similar scenario on the Atomic Rockets website. "I see your point. I thought that the use of Mass Drivers to alter the orbits of the Asteroids would be less energy intensive, especially if the move is done over the long term. I read of a similar scenario on the Atomic Rockets website." If you're moving asteroids around, you're doing so to bring them to market, not to set them up as space stations. Also, I think the people who got all excited about mass drivers moving asteroids either didn't do much math or seriously underestimated the required energy. I think the whole asteroid-moving thing is hugely over-rated. If you want to commit genocide, don't bother with a 50 year Rube Goldberg project, just turn the keys on the nukes. But I tend to broadly agree that if (and only if) your setting can have liners, as distinct from 'utilitarian' transports, you probably have a space economy extensive enough to support deep space warfare. It is, though it can still take a lot of energy, plus you lose more of the asteroid. "100 meter rock". I'll assume a cube, 1e6 cubic meters, 3e9 kg rock, 1e10 kg metal. Absent anything else to push off of, the most energy efficient way is to blow off half of it a single explosion. Say v=1e4 m/s, that's 3e9*(1e4)^2/2= 1.5e17 J.
momentum = mv = 3e13 kg*m/s. If one wants to keep 90% of the rock, at 1e4 m/s, that's momentum of 2.7e13, which needs to be balanced by the other 10% at 9e4 m/s. Energy = 2.7e9*1e8 + 3e8*81e8 = 2.7e17 + 24.3e17 = 27e17 J. Lots more! US energy budget is 3e12 Watts or 1e20 J/year. Low-energy mass-driver's not that good for station-keeping, you'll run out of asteroid over time. OTOH station-keeping doesn't need as big delta-vees. Not sure about cycler orbits. Speaking of space liners... Newbie author writing a series called A Trader's Tale set during the Golden Age of the Solar Clipper. In a distant future a young man finds himself without home or kin and decides to seek his fortune in the interstellar trade fleet. The books are available for pay via amazon in print or on kindle and an audiobook production is available for free from the author. You can get it on iTunes. It reads like a Heinlein juvenile and this is meant as no faint praise. Check it out. Does anyone else remember those rare shots on Babylon 5 of the inside of the centrifuge section? Big honking parkland. Now, I'd expect to see both mechanical life-support and a lot of biological life-support (Biospheres). The biospheres are there to provide primary O2 and food generation, and the mechanical systems are there to supplement that. As a flat statement, I don't think you will ever see a mission lasting longer than 3 months. Yes, the Age of Sail trips lasted longer, but they stopped every so often (usually every 4-6 weeks at the longest). The longest deployment-without-port-visit I know of is in the neighborhood of 3 months. The longest deployment-with-port-visits I know of was 13 months, and it resulted in an abysmal morale and the retirement of the officer in charge! As a flat statement, I don't think you will ever see a mission lasting longer than 3 months. By way of a major quibble, ISS crew missions are six months. I'd say, for round-trip missions, maximum three months to get there and three months to come back. How about this theory: space liner is not a universal term and depends heavily on a certain implementation of spaceflight (one that isn't very popular because it assumes spaceships will be too big and expensive for personal use), but every spaceship of the line with a certain size is a battlecruiser. Also, the Starcraft battlecruiser unit seems to make up half of the image hits.